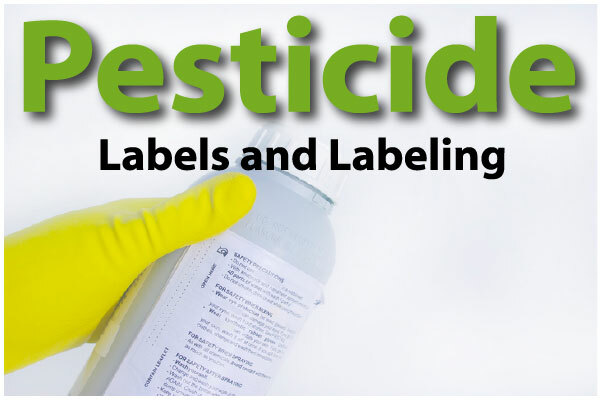 Before a pesticide product is registered by the EPA, a significant amount of data must be collected and analyzed by the company interested in registering the pesticide. Chemical companies may screen thousands of compounds in the laboratory to find a single promising active ingredient. The active ingredient must then be tested in the laboratory, the field, and sometimes the greenhouse. A wide range of studies can be conducted during the testing phase. The company spends many years and invests millions of dollars to complete this phase. It is only after the data is submitted for EPA review and the label is approved that the pesticide product can be sold. The extensive testing required prior to pesticide product registration includes many different tests to understand the hazards. This is one of the reasons that pesticides, especially new pesticides, are so costly. Manufacturers have to conduct toxicity, efficacy, degradation, and environmental fate studies in order to submit a total data package to the EPA for review. Toxicity or toxicological tests are conducted in a laboratory setting. Generally, laboratory animals such as rats and rabbits are exposed to the pesticide to determine what amount causes everything from ill effects to death. Efficacy tests are conducted to determine how well the pesticide manages the target pest under laboratory, field, and possibly greenhouse conditions. EPA only reviews efficacy data for antimicrobials and termiticides. The rate and timing of application are identified during these trials. Plant damage can sometimes result from insecticide and fungicide applications, particularly with emulsifiable concentrates under slow-drying conditions. The pesticide must be evaluated for its ability to cause plant damage. Labels use the term phytotoxicity to mean plant injury or damage. Whether it was DDT remaining in fat cells of animals or pesticides getting into drinking water, environmental impacts must be measured prior to pesticide registration. Manufacturers must know what happens to a pesticide after it is applied—does it degrade quickly or slowly? Does it move with water easily? Does it change into a gas phase or vapor? Special tests are required to assess the potential to move with water into groundwater. Another concern is how well it can move into plants from soils. What you have just read is a snippet from a Certified Training Institute course on Pesticide Labeling. If you would like to learn more, please visit this link, and choose your state. You'll find video courses available 24/7 with a wealth of information on Worker Protection Standards (WPS), Prelicense and Continuing Education training for you or your entire company. This entry was posted in Pesticide and tagged Online Pesticide Continuing Education, pesticide label.